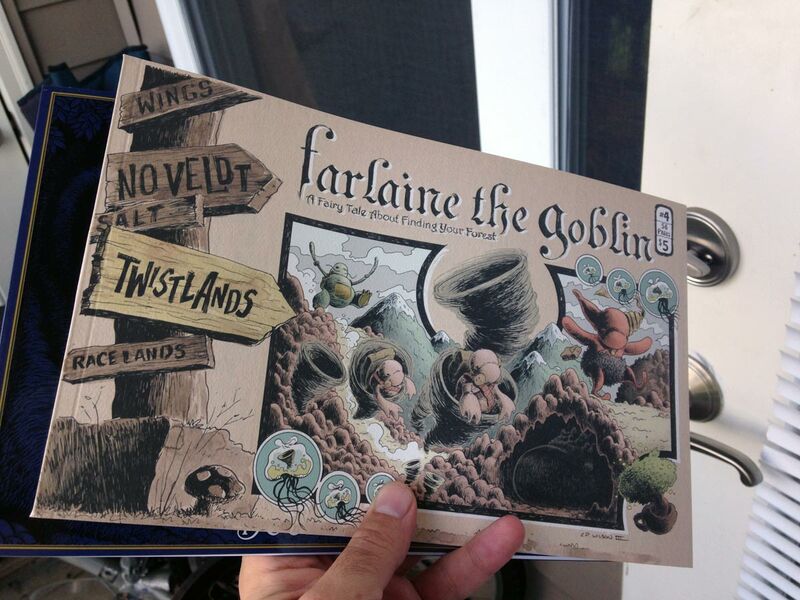 Farlaine the Goblin ~ A Fairy Tale About Finding Your Forest: Farlaine the Goblin ~ Book 4: The Twistlands is out now! 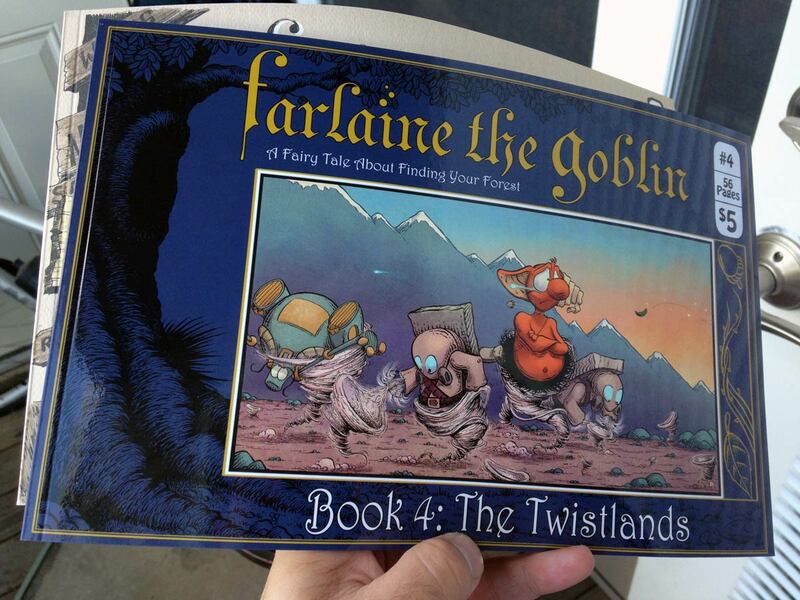 Farlaine the Goblin ~ Book 4: The Twistlands is out now! OK, it's been a weird week, but here's the deal - the distributor split the book between hitting stores on September 23rd or September 30th. So in some places Farlaine In The Twistlands is out and on stands. In other places it will be out this coming Wednesday. But, since it is already released in some places, that means we're going to start selling it through Farlaine.com now! Just head over to Buy The Comic at the top of the page. $5 - 56 pages - All Awesome! Gorgeous alternate felt cover by Charles Paul Wilson III is also available!